Economics of Crime : A Comparative Analysis of the Socio-Economic Conditions of Convicted Female and Male Criminality In Selected Prisons in Tamil Nadu ... S. Santhanalakshmi, Ph.D. Journey of Self-discovery in Anita Nair's Ladies' Coup� ... V. Chandra, M.A. Two New Sections are added to Language in India www.languageinindia.com: Weekly Notes on Practical Ideas for Research and Better Writing! And a Creative Writing Section! Links are provided in every HTML page of the journal. Please check these sections out! The Weekly Notes are updated every week! Articles and books published in Language in India are indexed in three leading databases: EBSCOHost database, MLA International Bibliography and the Directory of Periodicals, and ProQuest (Linguistics and Language Behavior Abstracts). The journal is listed in the Directory of Open Access Journals also. The next issue (the issue of November, 2011) will be uploaded by the second week of November, 2011 or earlier. We now provide a pdf version of the entire issue as the last item in the List of Contents below! This is a large single file of all the papers included in this issue! This document is better viewed if you open it online and then save it in your computer. After saving it in your computer, you can easily read and print all the pages from the saved document. Anurag Kumar, M.A. and Smita Jha, Ph.D.
Richard T. Torto, B. A. (Hons), Dip. Ed., M.Phil. Rajalakshmi. M.S., Ph.D., and Suresh. K.P, Ph.D.
Aijaz Ahmed Gujjar, Naeemullah Bajwa, Ph.D., Ghazala Shaheen, Ph.D., and Sajid Rehman, Ph.D.
Rajalakshmi. M.S., M.Sc., M.Ed., Ph.D. and Suresh, K.P., M.Sc., Ph.D.
Nidhi Bhatt, Ph.D. (English Literature), B.Ed. Sonali Rajpal, M.A., M.Phil., Ph.D. and V. Anitha Devi, M.A., Ph.D.
Shamsa Aziz, Ph.D., Naushaba Atta, Ph.D. and Hamid Hassan, Ph.D.
Muhammad Munir Kayani, Ph.D. Zahida Jabeen, M.A. Sofia Dildar Alvi, M.A. (English), M.Phil. Tayyaba Shazadi, M.A., Sufiana Khatoon, Ph.D., Shamsa Aziz, Ph.D., and Hamid Hassan, Ph.D. Reviewed by Abhilash Nayak, Ph.D.
Rajalakshmi. M.S., M.Sc., M.Ed., Ph.D., and K. P. Suresh, M.Sc., Ph.D.
Aamna Saleem Khan, Ph. D.
A PRINT VERSION OF ALL THE PAPERS OF OCTOBER, 2011 ISSUE IN BOOK FORMAT. This document is better viewed if you open it online and then save it in your computer. After saving it in your computer, you can easily read all the pages from the saved document. Please write to us for detailed Guidelines. 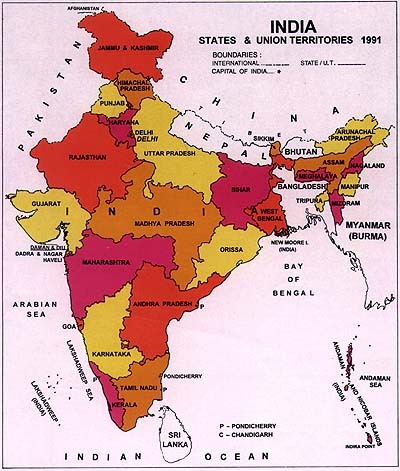 Language in India www.languageinindia.com is an international online monthly research journal, and is indexed in three major international databases: EBSCOHost, ProQuest (Linguistics and Language Behavior Abstracts) and MLA International Bibliography. Thus, your research is available in University Libraries all over the world for others to read and cite. The journal receives over 360,000 hits every month and is accessed in over 75 countries. Please check out the details given in the home page of the journal. Must include your complete address including institutional affiliation and e-mail address on the first page of your article. It is for the authors to take care of this important part if they want others to correspond with them on the subject. This is to certify that the article ��. submitted for publication in Language in India www.languageinindia.com is an original work by me/us based on my/our research, that I/we have duly acknowledged in the said paper the work or works of others I/we used in writing this article, that I/we have duly cited all such work/s in the text as well as in the list of references, and that I/we have presented within quotes all the original sentences and phrases, etc. taken from the sources that I/we have consulted in writing this article. I/we also declare that I/we will pay the formatting fee for the article/dissertation (specified in the Guidelines below) as and when my paper/dissertation is accepted for publication in Language in India www.languageinindia.com. The title page will be somewhat like this in pdf. Title of the paper in bold, Times New Roman in 16 point, immediately followed by the name/s of the author/s, with each author's name followed by their educational qualification such as Ph.D., M.Phil., or M.A., etc., in 14 point, and then after one line space, a line in bold. After this, give one line space and begin your article. It is better to check how pdf files are formatted in Language in India www.languageinindia.com and proceed accordingly. While in doubt, please send an e-mail to languageinindiaUSA@gmail.com or mallikarjun@ciil.stpmy.soft.net. Give complete details of your address, with postal number (pin or zip code). If you can support this publication by donations, you are most welcome to do so, and we will receive the gifts with gratitude and appreciation. Remember, it does cost a lot of money and time, even to perform good works! Thirumalai has been publishing the journal for 8 years with very little support! However, donations will not influence the decision to accept or not accept any submission for publication in www.languageinindia.com. Language in India www.languageinindia.com charges a formatting fee of Indian rupees 600 only for the publication of each article submitted by authors from South Asia and other less affluent countries. Authors from affluent countries are charged a fee of Indian rupees 1000 only. Note that those authors of South Asian origin who work in affluent countries are also charged Indian rupees 1000 for each article. The maximum length of an article is set at 25 pages in 1.5 line space and this includes all appendices, etc. which form part of the article. Formatting fee varies with the length of the materials submitted for publication. This formatting fee meets only partially the costs of formatting, uploading, maintaining the article in the Internet and for doing repairs when necessary. The decision to publish or not publish depends solely on the merit and relevance of the article accepted. Every university-approved Ph.D. dissertation is charged Indian Rupees 2500 and M.Phil. Dissertation is charged Indian Rupees 1800 only. Masters dissertations are charged Indian rupees 1400 only. University-approved dissertations are not normally reviewed as these have already been approved after review by examiners by the universities. However, minor adjustments may be suggested for easy readability. Every monograph accepted for publication in Language in India www.languageinindia.com will be charged Indian rupees 4000 only. Proceedings of the Seminars and Conferences will also be considered as monographs. Services offered include editorial help, formatting and academic suggestions. High Quality and relevance of research and appropriate research methodology, total avoidance of plagiarism are some of our major concerns. Language in India www.languageinindia.com is an inter-disciplinary online monthly journal. So, we also seek to publish materials on all aspects of society and culture and related issues from around the world. Kindly note that once the article or dissertation etc. is published in Language in India www.languageinindia.com, any publication of the same material in outside source in print or in electronic format can be done only with the permission of Language in India www.languageinindia.com. Any royalty that will accrue from the publication of materials already published in Language in India www.languageinindia.com through other sources both in print and electronic format will have to be shared between the authors in a range that is favorable to the authors (75% for the authors and 25% to Language in India www.languageinindia.com ), since Language in India www.languageinindia.com does meet the major part of the cost of the initial publication of such materials. No new materials can be added once the article is published. Please ensure that when submitting your work names of all authors are included. No addition of author/s after formatting of the article is done and sent to the author/s is allowed. Please avoid including Bibliography. Instead please include only a List of References of all works cited within the text, including Internet sources. We generally follow the style sheets of APA, MLA, Indian Linguistics, IJDL and Language. But you need to restrict yourself to one style within your article. Standardization has become very difficult because Indian universities are still in the process of evolving a common style for their research publications. Readability and easy cross reference for future research should guide our authors in choosing an appropriate style in a consistent manner. Prof. Lakhan Gosain: Hindi, Rajasthani, International Policies including Foreign Policies.